I am really looking forward to being a stand holder at Longford Summer Festival on July 4th and 5th. It promises to be a big occasion with lots of entertainment and exciting day and night time entertainment. Sharing some photos of items which will be available for purchase from me. I have a limited selection as my main service is offering 15 minute readings for just €10. They will include Angel readings, Goddess, Life Purpose, Romance, Soulmate, Our Lady and the Saints, and Ancestors/Loved Ones readings. These readings will not tell the future but will give guidance on what you can do to help yourself in your life at present. They are gentle and to the point readings. You will receive some short hand written notes on your reading, to remind you of what came up for you when you go home and wonder "what did she say again?" Below are two books which I have published. 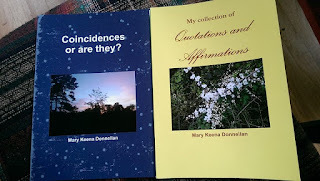 They will be on sale at the special price of €5 for Coincidences.... or are they? 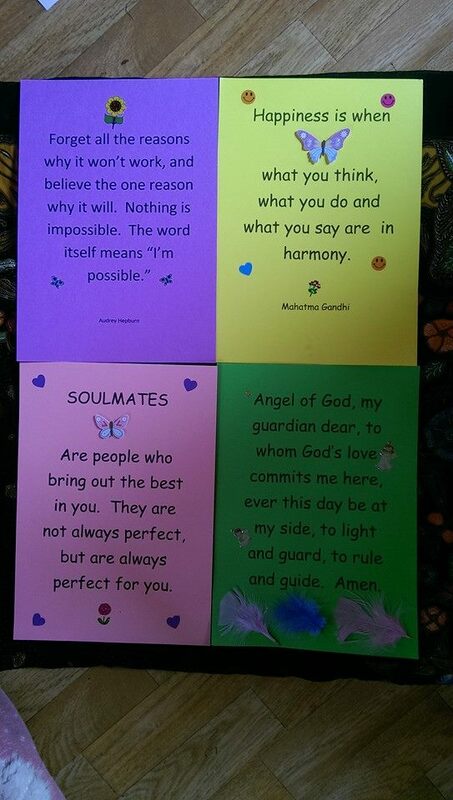 and €8 for My Collection of Quotations and Affirmations. See the tab My Books on this website for more information on these. I have a small selection of crystals - amethyst, carnelian, rose quartz, snowflake obsidian, clear quartz, red jasper, amazonite and hematite at €1.50 each. Also a good selection of Angel statues ranging from €2 to €5. I will have some boxes of incense sticks too at €1.50 each. 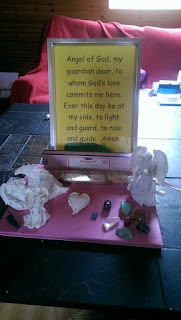 I have made up some Angel Guardian Prayers for you to frame or laminate if you would like. 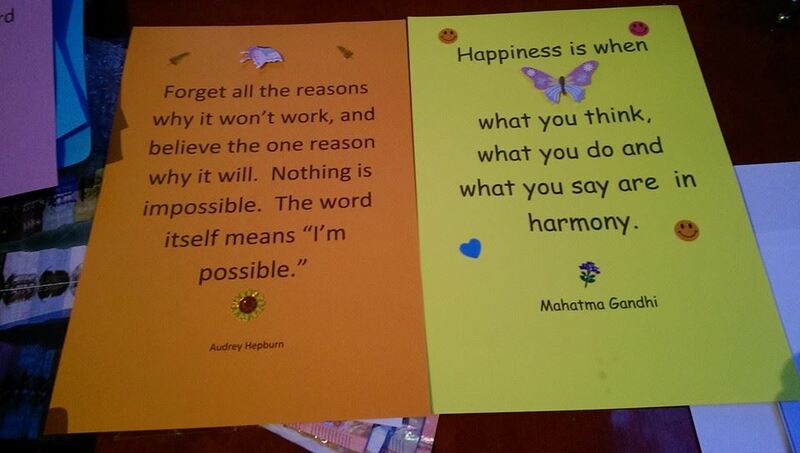 They are just €2.50 each as are some quotations from my book.